If you are a senior looking for a place to retire that offers the most rewards for your money and in terms of quality of life, we submit that you should consider our community: Morristown, Tennessee. Located in East Tennessee near the Knoxville TN area, Morristown offers an affordable cost of living, along with plenty of amenities. 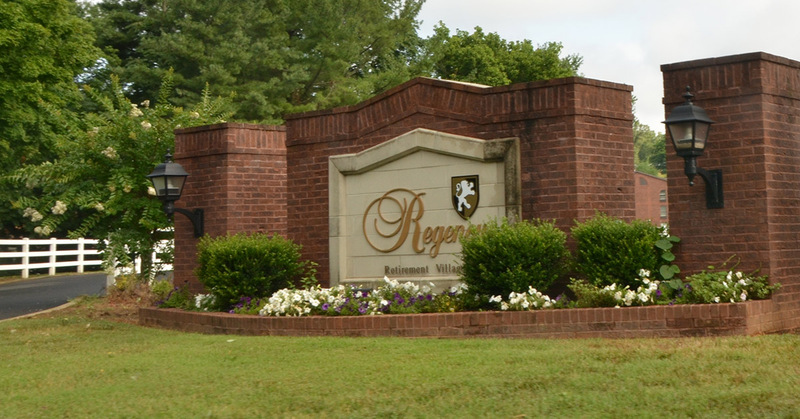 You can make it easy by joining us in our retirement community, the 9-acre Regency Retirement Village Morristown. Of course, there are a lot of factors that determine where seniors — perhaps newly unmoored after years of caring for family — can put their pin on a map. In this month’s blog, we consider a few of the factors that go into such a decision and how Morristown TN fits the bill. As mentioned, Morristown is very near Knoxville, Tennessee, and both are within a day’s drive of half the continental U.S. If you want to make it easy for grown children (and those precious grandkids) to visit, Knoxville has a lot of opportunities for professionals who need to be located in the city, plus Knoxville boasts 120 daily flights from more than 20 nonstop destinations from McGhee Tyson Airport (TYS), 12 miles from downtown Knoxville. One assessment of affordability placed Knoxville as #43 out of the 50 Most Affordable Places for seniors to settle down and retire. Home to the University of Tennessee, this college town is more expensive than the other Tennessee city on that list, Memphis, but homes are getting cheaper. And by moving into Regency Retirement Village in Morristown, there’s the added benefit of saving on a lot of costs that would typically come with moving here and buying a house. There are so many reasons for retirees to visit or relocate to the area, but one key to the quality of life here is the rich abundance of things for seniors to see and do in Morristown, TN – many of the activities at a reduced price for seniors or free. Here in Morristown, residents will love exploring the scenic sights of Panther Creek State Park, a 1,435-acre park located on the Cherokee Reservoir in the historic Holston River Valley. Nearby marinas provide boat launching and rental boats, as well as a bait shop that supplies fishing and picnicking needs. For active outdoor enthusiasts, the park features walking, horseback riding, and biking trails. In total, the park has 17 hiking trails, each ranging in level of difficulty. If you enjoy being out on the green, add Morristown’s Millstone Golf Course to your list of places to visit. The club offers an excellently designed course in the scenic hills of East Tennessee. After all, they are known for having the best greens around town. Not only will you find the top-class facilities accommodating, but this course is also for every putter, of all ages and skill level. Located down the road, just 4 minutes from our Regency facility, the Crockett Tavern offers a unique and historic activity, fun for the whole family. Listed on the National Register of Historic Places, this top-rated attraction offers a reconstructed home in memory of Tennessee hero Davy Crockett, who spent several years of his childhood in the area. Tours of the museum are available in the months of May through October, Tuesday through Saturday. If you are 65 and older, ask for senior discounts. Tours last approximately one hour on average. We’re located 45 miles north of Pigeon Forge and 52 miles from Gatlinburg, which offers a wide variety of activities for seniors and their families. 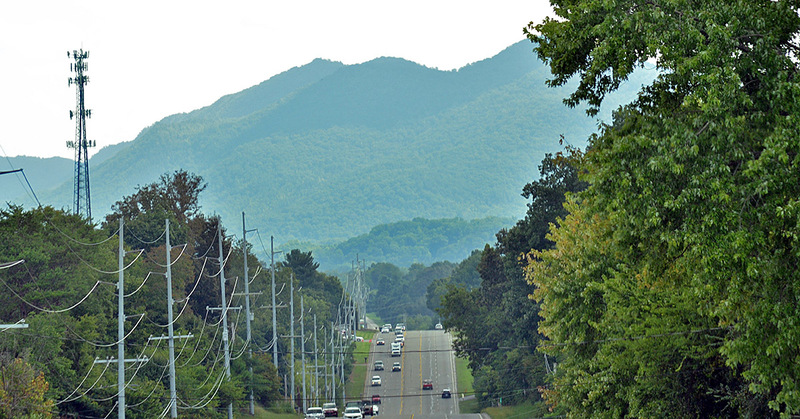 The Great Smoky Mountains are just a short drive away from us! Cades Cove – The East Tennessee mountains are calling! Cades Cove Valley is surrounded by mountains and is one of the most popular destinations in the Great Smokies. Here, the one-mile loop road circles the valley, offering motorists the opportunity to sightsee at a leisurely pace. It offers some of the best opportunities for wildlife viewing in the park. White-tailed deer, black bears, coyotes, turkeys, and other wildlife are frequently spotted in the open valley of Cades Cove. Allow for at least two to four hours to tour. Davy Crockett Mini Golf in Gatlinburg, TN – Seniors and their families can putt-putt their way across an 18-hole mini golf course, which offers an interactive Smoky Mountain experience reminiscent to the olden days in the hills of Tennessee. Gatlinburg Space Needle – Enjoy panoramic scenic views of the Great Smoky Mountains as you ascend to the top of the needle in a glass elevator, towering 407 feet above the strip. Take in the breathtaking views, as well as the educational information rich in facts and history about Gatlinburg and the Smoky Mountains. Tickets are $9.50 for adults, $5 for children 4–11 years of age, and $6 for seniors. Hollywood Star Cars Museum – Home to vehicles that have been used in movies and television over the last 50 years, including The Ghostbusters Ecto-1, the majority of the collection are the authentic cars actually used on the silver screen and can be seen only in Gatlinburg, TN. The collection also includes personal vehicles owned by celebrity icons such as Elvis Presley, the Beach Boys, Bob Hope, and Dolly Parton! Tours are $12.99 for adults, $6.99 for children 6-12 years of age, and free for children 6 and under. On average, the tour takes about an hour from start to finish. Smoky Mountain Opry – An entertainment experience that brings to the stage new productions and audience favorites. It’s a journey through the music of your life, from high-energy country to rock ‘n roll, big band, gospel and movie greats. Dolly Parton’s Dixie Stampede – Seniors and their families can gather together for a barrel full of music, dancing, dinner, family-friendly comedy, along with the 32 stampeding horses and the South’s most talented trick and competition riders. Dinner and a show! We call that a win. Dollywood – Set in the heart of the Great Smoky Mountains, this amusement park and resort features exceptional shows, the South’s largest festivals, Southern-style dining, bluegrass and gospel concerts with down-home flair. In 2016, Dollywood won the Traveler’s Choice destination award by Trip Advisor as a place for all ages. Gatlinburg’s Pancake Pantry – While there are many excellent dining options to choose from, we recommend making a trip to indulge in the made-from-scratch pancakes at none other than the Pancake Pantry. Since 1960, the Pancake Pantry has been selling their famous flapjacks like hotcakes, no pun intended. Expect a wait when you go, as hungry visitors often line down the street just for a taste of that delicious, homemade batter. If you’re looking for a unique souvenir, look for specialty shopping stores with hand-carved wood sculptures, handmade pottery, and other local artists & artisans at the Artist Loop. Senior discounts are available at select hotels, retail stores, restaurants, and grocery stores near these attractions. At Regency Senior Living in Morristown, we arrange for our residents to participate in group outings to local attractions. Being part of a group of peers living together in Morristown Assisted Living makes for a great way to experience these sights and sounds. Of course, the south is known for being warm and humid, but you get to experience all four seasons here in East Tennessee without much snowfall to shut things down. Tornadoes are more likely during certain times of the year, but these are very infrequent and can happen pretty much anywhere you might decide to locate in the region. Again, our proximity to Knoxville translates into top-quality medical facilities, only a short distance away. When you move into Regency, trained and skilled staff are just outside your door with medication reminders and a whole lot more. Our environment is set up to offer secure, safe living spaces for Tennessee seniors wanting to balance social opportunities with the peace of mind that comes with knowing help is never far away. Regency’s residence and service options range from Independent Living to Assisted Living to Memory Care. Morristown, Tennessee is a great city for all stages of life, whether it’s raising a family or retirement. We hope you will consider Morristown and the Knoxville area if you are a senior looking for a community to make a fresh start.